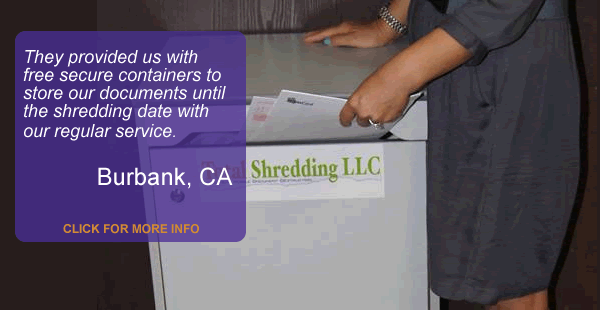 The Total Shredding Mobile Shredding Service provides secure On-Site and Off-Site shredding of paper documents, hard drives, optical media, and all sensitive materials. We are fast, clean, and prompt. 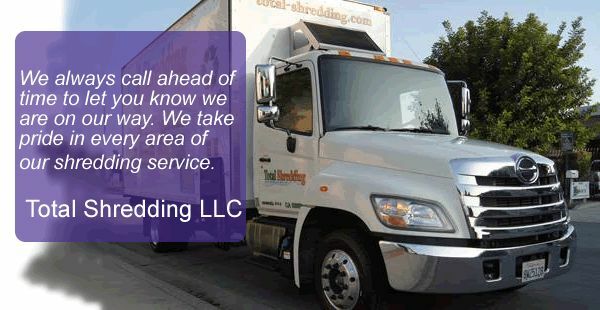 No longer do you need to waste time pulling staples/binder clips which are easily shredded by our state-of-the-art shredding trucks. Make sure to ask about our free lockable bins and containers with a regularly scheduled service. We provide free estimates and a 30 day risk free trial for qualified companies interested in our mobile route services. A certificate of destruction is always included with every shred.